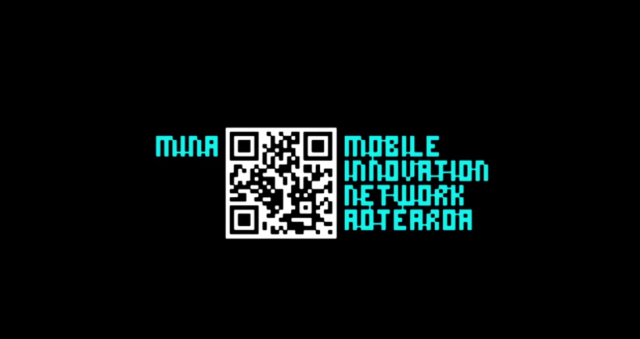 Mobile Innovation Network Aotearoa [MINA] is an international network that promotes cultural and research activities to expand the emerging possibilities of mobile media. MINA aims to explore the opportunities for interaction between people, content and the creative industry within the context of Aotearoa/New Zealand and internationally. 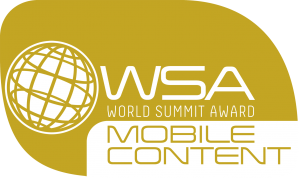 In May MINA will nominate eight New Zealand mobile applications for the WSA award. MINA, the Mobile Innovation Network Aotearoa [MINA] creates interactions between people, content and the creative industries. New times bring new challenges. Today, in terms of access, mobile usage has outgrown Internet usage by threefold with more than 6.5 billion connections registered around the world to date. Mobile phones are becoming smarter and revolutionising what can be done with them. We are in the middle of the explosive development of mobile applications and mobile content. As a response to this rapid development and focus change on the content scene worldwide, the WSA has started the WSA-mobile. The new award has been launched in 2010 and is dedicated explicitly to selecting and promoting the world’s best m-Content. The World Summit Award (WSA) is a global UN-WSIS bi-annual award. It selects and promotes the world’s best e-Content and most innovative ICT applications, be it websites, apps or interactive installations. Initiated by Austria in 2003 in the framework of the United Nations’ World Summit on the Information Society (WSIS), the WSA implements the UN agenda for the development of the information society. Specifically, it supports the UN Millennium Development Goals and turns the WSIS targets in relation to Action Lines Media and Content into action. The 40 WSA-mobile Winners will be invited to the Winners events (conference, exhibition and gala) to Abu Dhabi. At the events a Jury will also vote on 1 WSA-mobile Global Champion in each category to be announced at the gala. New Zealand winners products will be presented as best content from all UN member states in theWSA Catalogue, which will be distributed to the global partner network. From health to business, from science to inclusion: the eight m-WSA categories reflect most crucial social issues of every-day life around the globe. Full description on each categories, rules, etc. Strategic partners for WSA award: MINA, UNIDO, UNESCO, UN Global Alliance for ICT & Development (GAID), Mobile Monday. Contact Max@mina.pro for further information. This year’s MINA screening program features pocket films, mobile-mentaries and smartphone film from Australia, Brazil, Canada, Columbia, France, Hungary, Italy, Japan, New Zealand, Poland, Sweden, the U.K. and the U.S.A. ip checker . The 2013 International Mobile Innovation Screening is curated by the MINA Screening Committee and Max Schleser in collaboration with MINA’s partner film festivals: iPhoneFF (USA), SEISFF (Korea), Cinephone (Spain), Mobile Film Festival (Macedonia), Mobil Film Festival (USA), Ohrenblick Mal and Mobile Streifen (Germany). The Auckland screenings are free and open to the public. The Melbourne screenings are free and open to the public. Maria Donata Napoli, Movies are made of light! We hope you enjoy the programme and would like to use this opportunity to thank the MINA screening committee: Assoc. Prof. Andre Ktori (Massey University, New Zealand), Ben Lenzner (PhD Candidate Screen and Media Studies University of Waikato), Felipe Cardona (Universidad Externado de Colombia), Dr Frances Joseph (AUT University, New Zealand), Karen Curley (School of Design, Massey University), Laurent Antonczak (MINA co-founder & AUT University, New Zealand), Dr Mark Jackson (AUT University, New Zealand), Dr. Marsha Berry (RMIT University), Tony Meyers (Smart-Movie Making) and Dr. Max Schleser (MINA co-founder & School of Design, Massey University) and MINA’s partner film festivals: iPhoneFF (USA), SEISFF (Korea), Cinephone (Spain), Mobile Film Festival (Macedonia), Mobil Film Festival (USA), Ohrenblick and Mobile Streifen (Germany). With a special thanks to the School of Art & Design (AUT University) and CoLab (Creative Technologies Research Institute for the Faculty of Design and Creative Technologies at AUT University) and continued support from the School of Design and the College of Creative Arts (Massey University). The MINA 2013 Symposium, Screenings and Workshops explore the expansion of mobile social media, mobile technologies, mobile production and mobile aesthetics. From November 18 – 22, 2013 AUT University will be the home of a series of events exploring mobile technologies in film, education, business and creativity. The week begins with a two-day mobile filmmaking workshop, and moves into the Mobile Creativity and Mobile Innovation Symposium, before closing with the third edition of the International Mobile Innovation Screening. The events are co-hosted by MINA (Mobile Innovation Network Aotearoa), Colab (AUT University) and the School of Art & Design (AUT University) in collaboration with the School of Design at the College of Creative Arts (Massey University, Wellington). Within the last few years, the proliferation of smartphones and other mobile devices has changed the way people interact and communicate. The 2013 MINA Symposium and Screening is centred around the question, ‘how are mobile and social media technologies used to create innovation through creative and cultural practices?’ and will seek to answer this question through presentations of papers, workshops, poster presentations, performances, project showcases and mobile screenings in situ and via live web-broadcasts. The Symposium provides a platform for filmmakers, artists, designers, researchers and industry professionals to debate the prospect of wireless, mobile and ubiquitous technologies in art and design environments, education, and the creative industries. The 2013 programme explores some specific mobile developments and dynamics in a multi-disciplinary context such as mobile & media production, mobile & pedagogy, mobile & aesthetic, mobile & hybrid art, mobile & interactivity, mobile & space and mobile & society, mobile & transmedia. Keynote speakers are Helen Keegan (University of Salford, UK) and Larissa Hjorth (RMIT University, Australia). Whats my ip . Presenter topics range from ‘Twitter, Instagram and Micro Narratives’, ‘Collaborative Mobile-Mentaries (mobile documentary)’, ‘The Brown Book: Māori in Screen Production’ to Instagram Video and the Creation of Slow Media, ‘mobile location-based augmented reality gaming’ and ‘the democratization of Mobile Filmmaking’. Filmmaking can be a long, expensive and complicated process… unless you’re making live short films on a mobile phone. Shoot Me Now 2012 is a unique filmmaking event that encourages anyone and everyone with a mobile phone and Internet access to simply get out and shoot, focusing on creative ideas, spontaneity, collaboration and fun. As Wellington gears up to celebrate the big budget, big camera Hobbit movie premiere next week, a new wave of filmmakers are gathering in the capital to show what can be done with a few dollars and a mobile phone. Mobile films, documentaries, music videos and even mobile stop-frame animation feature at the second Mobile Creativity and Innovation Symposium in Wellington on November 23-25 as part of the BLOW creative arts festival. The symposium, including an international mobile film screening, is hosted by the Mobile Innovation Network Aotearoa, which was co-founded by Massey University lecturer in digital media, Dr Max Schleser, and AUT lecturer in graphic design and new media, Laurent Antonczak.